HomeArticles & StatisticsGuidesHow to not get burgled while I’m away? That’s one of most common question any security company has to answer! Recent statistics show us that a home burglary is an act that happens more often recently. Nobody ever expects burglary to happen but it has to be taken into consideration! 90% intrusions occur when the homeowner is away. If your premises have no security system like intruder alarm or CCTV cameras it becomes a very easy target. That is what burglars are waiting for. We won’t give them this satisfaction, aren’t we? How to not get burgled? – A simple solution to protect your home is installing a security system. 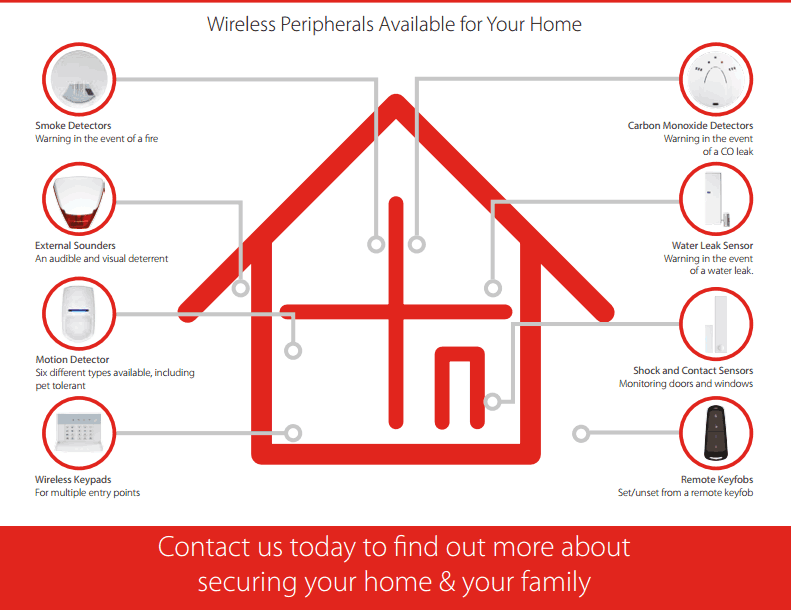 motion detectors(PIR), door contacts, shattered glass sensors or Panic Button. Think of moments when you or your family is been home alone or have to open door to a stranger. Wireless Smart Key Fob with Panic Button function is a great backup solution to have peace of mind. meanwhile, communication module instantly notifies your family or emergency services. In addition to any attempt of removal security devices(tampered) would trigger alarm too. Everyone should take their own safety seriously, especially these days when its getting worse day by day. after they understood what a nightmare is going through dangerous situations that could be easily prevented. Additionally, each alarm system should be connected to the landline or directly to the internet to notify programmed phone numbers in case of intrusion. Professionally installed Intruder Alarm will benefit you in more ways. check status of each sensor, browse log to see who and what time was going in and out! That is the best way to check if your kids get back from school without making a single phone call! You can also check the time when cleaning services or gardener left your house. 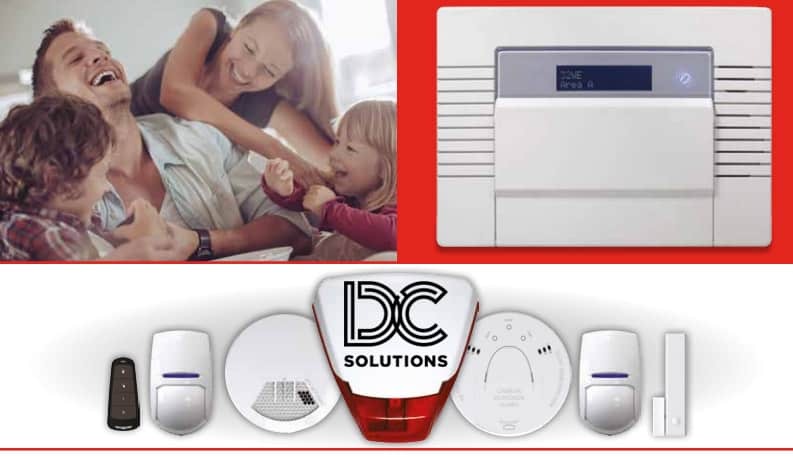 A good quality alarm should have the feature that allows you to connect the Smoke Detector, Carbon Monoxide (CO) or water leak detector. Professional security systems can save you a lot of money and trouble. Its an investment in safety and protection of all assets that you have gathered working hard all your life! Therefore DC Solutions have a wide range of Wireless & Wired security systems available to install on your premises in short time notice. Do not hesitate to contact us with any questions! suggest installing Full HD CCTV System with motion detection and remote viewing over the internet using a smartphone. A system like that puts you in full control of anything that happens on your premises. To check how CCTV system can benefit you please check our other articles! Please share this article and give us thumbs up!